Carbyne is working with Cisco to deliver cloud-based and internet of things (IoT)-enabled solutions for emergency dispatch centers. As a Cisco solution partner, Carbyne's emergency services technology will be offered as an integrated part of Cisco Kinetic for Cities, a secure IoT data platform that provides automated data sharing across platforms and devices. Carbyne will be the only 9-1-1 solution available in the Cisco Marketplace, with additional solutions for international emergency numbers, social worker safety and private safety. This new solution will offer emergency service providers the option to choose between a full cloud-based call-handling ecosystem or a next-generation 9-1-1 (NG 9-1-1) rich data plugin for legacy systems. Neither option requires any replacement of existing solutions or infrastructure. Integrating Carbyne's solution with Cisco will allow local, government-run IoT devices and sensors to interact and share data, serving as a crucial source of information for emergency responders. 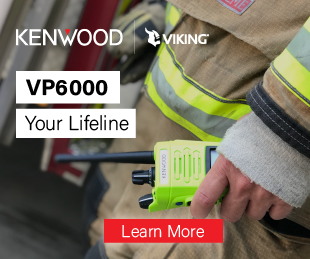 The connected infrastructure and components enhance situational awareness for first responders, improve resource allocation, reduce decision-making time and decrease errors. All these upgrades to emergency systems help bolster responsiveness to citizens’ needs.